After three burglars got caught breaking into a Montecito home, sheriff’s deputies working with other law enforcement units managed to capture two of the three suspects. 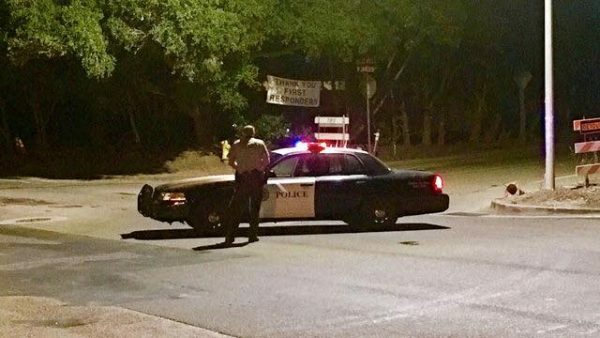 The search for the third suspect is active near Coast Village Road, according to the Santa Barbara County Sheriff’s Office. Shortly before 10:30 p.m., the burglars broke into an occupied home in 100 block of Santa Elena in Montecito, a sheriff’s office news release states. A resident heard the suspects enter the home and called 911 for help. The three men fled the home. Deputies and CHP officers established a perimeter and began searching for the suspects. Authorities issued an emergency notification to residents in the area instructing them to shelter in place. A sheriff’s K-9 unit, the Santa Barbara County Air Support team, the Sheriff’s Special Enforcement team and Criminal Investigations Division detectives all joined the search. Deputies managed to locate one of the suspects and detain him. Saturation patrols worked overnight as the search continued. At 5:30 a.m., deputies located the remaining two suspects in the 1200 block of Coast Village Road. Deputies detained one of the two outstanding suspects, but the other fled and evaded capture. As sheriff’s officials search for the third suspect, they are still asking residents in the immediate area to shelter in place and everyone else is asked to avoid the location. Officials describe the outstanding suspect as a black male in his late teens or early 20s wearing a white T-shirt. Authorities ask anyone who spots the suspect to call 911 immediately.